Wonderfully crafted scissors designed specifically for little hands. With small, vinyl coated, finger holes, shorter overall length, and a real cutting edge, control is increased. 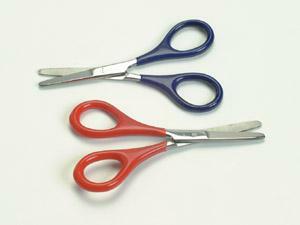 Using these scissors, cutting is more successful - so kids love using them!